Must be some ITN footage somewhere. 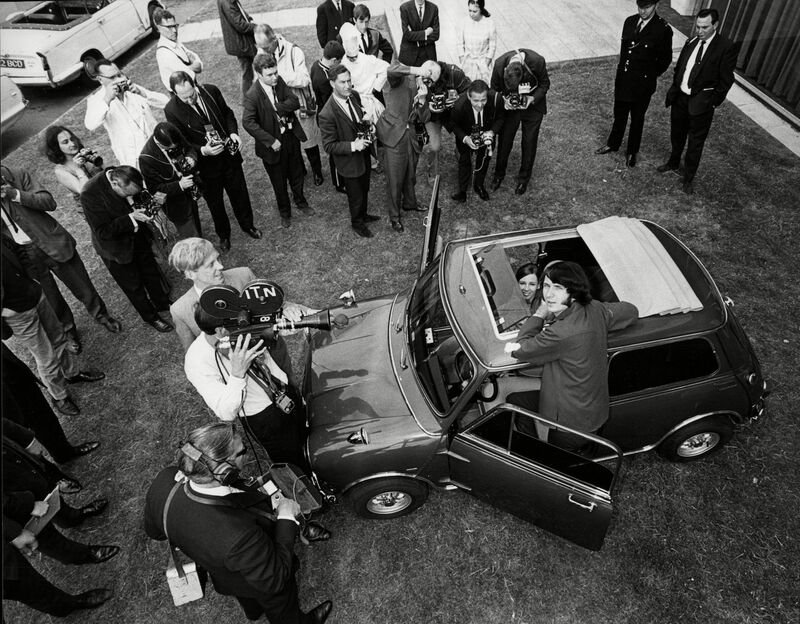 This shot is dated 3rd July 1967. That's a lovely shot Stu, not seen that one before. As it motors in through the gate it looks as though it definitely has the same rear light treatment as Paul's car. Lennon's does have those horrific Aston rear lights. Clearly seen in shot here.